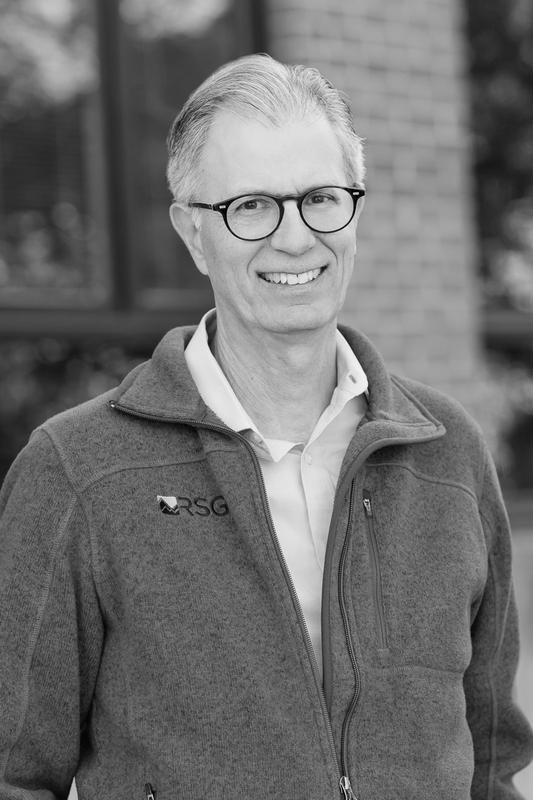 Thomas Adler, PhD | Resource Systems Group, Inc.
Tom is a founding leader of the RSG team and continues to guide the company through influential project work, innovative research and strategic direction. He has personally directed over 250 major projects and has more than 40 years of experience in developing and applying advanced models to client challenges. His project work ranges from feasibility studies for large infrastructure development, to marketing strategy studies for Global 100 companies, to detailed planning studies for both public and private sector initiatives. Before cofounding RSG in 1986, Tom was a professor at Dartmouth College, teaching courses in consumer choice modeling, operations research, computer science, and engineering. He also served as director of the graduate program in resource policy at Dartmouth, and was the principal investigator for several large, federally-sponsored research projects. He continues this research today as principal investigator and task leader for six National Academies studies. Tom enjoys skiing, skating, bicycling and hiking in Vermont and, with his wife of 40 years, visiting his three daughters (all management consultants, in London, New York, and Cambridge) and grandchildren. Gosling, G., T. Adler, K. Small and S. Landau “Measuring Air Carrier Passenger Values of Time by Trip Component,” Journal of the Transportation Research Board, Volume 2569, 2016. Adler, T., D. Weinstein, J. Keller, W. Neafsey “Feature Trade-Offs in Choices among Alternative Vehicle Powertrains,” Proceedings of the 2015 International Choice Modeling Conference, Austin, TX, May 2015. Adler, T., M. Doherty, J. Klodzinski and R. Tillman, “Methods for Quantitative Risk Analysis for Travel Demand Model Forecasts,” Journal of the Transportation Research Board, Vol. 2429, 2014. Hess, S., M. Fowler, T. Adler, and A Bahreinian. “The Use of Cross-nested Logit Models for Multi-dimensional Choice Processes: The Case of the Demand for Alternative Fuel Vehicles.” Transportation, Volume 39, Issue 3 (2012). Adler, T., and M. Ben-Akiva. “A Theoretical and Empirical Model of Trip Chaining Behavior.” Transportation Research, Series B, Methodology, 13B, (1979): p. 243-257.